In the past few decades, extensive studies have been done on toxins in our environment. Unfortunately, it sometimes takes years before the truth comes out. Aside from toxins in our food and water, they are found in everyday products we use. Heavy metals, fluorides, BPA’s, Research has linked soaring incidence of the mysterious neurological disorders to fetal and infant exposure to pesticides and household chemicals. Some of these culprits like Bisphenol A (BPA) are found in water bottles, baby bottles, plastic wraps, food packaging. Phthalates are found in toys, shower curtains, vinyl flooring, raincoats, detergents, food packaging, shampoos. Decabromodiphenyl Ether (DECA) are used in upholstery textiles, carpet backings, mattresses, and electronics. High on the list, are chemical insecticides. Something as innocent as a neighbor spraying their yard can drift to your yard or enter through an open window. They can be tracked into your home on the bottom of shoes. During children’s early development they are especially vulnerable to these chemical pesticides. Children play on pesticide-treated lawns and are exposed when playing with pets treated with flea or tick treatments. These contain organophosphates that are known to damage the developing nervous system of children. In 2000, the NRDC first highlighted this problem and more than 15 years later have taken the U.S. Environmental Protection Agency to court to protect kids from these pesticides. Aside from the fact that they don’t work, it’s you and me and our children, parents, friends that can be harmed by them. Insecticides – termiticides – rodenticides – fungicides – disinfectants. They are sold as sprays, liquids, sticks, powders, crystals, balls and foggers. As far back as 1990, the American Association of Poison Control Centers reported that some 79,000 children were involved in common household pesticide poisonings or exposures. The reason we bring this up, is we want to help people recognize how pesticides add more insult to injury. We see it everyday. In addition, we want people to think before reaching for a can of spray or a bed bug bomb. We want to reach people before they make mistakes in treating for bed bugs. Over the past decade, there have been many home fires triggered by bed bug bombs. Furthermore, by using any of these products, it delays the use of detection dogs to pinpoint areas where bed bugs may be in your home. Here’s a few facts about chemicals used for bed bugs. Bed bugs are resistent to many of the common pesticides used for their elimination. Chemicals DO NOT KILL THE EGG STAGE causing repeated treatments extending the time you have bed bugs. Bed bug bombs spread bed bugs to other places of the home or environment. Overuse creates a more toxic environment that can be detrimental to the health of anyone living in the environment. (including pets). One bed bug is not an “Infestation”. Infestations take time to develop. Quite often, people will see a single bed bug, and as a result, think they need to treat the whole dwelling. The great part of discovering early signs of bed bugs is it drastically reduces time and money spent on bed bug problems. We stand firmly on “Early Detection is Everything and Education Gets You There”. Coined by the International Bed Bug Resource Authority (IBBRA), is the number one way to avoid bed bug infestations. 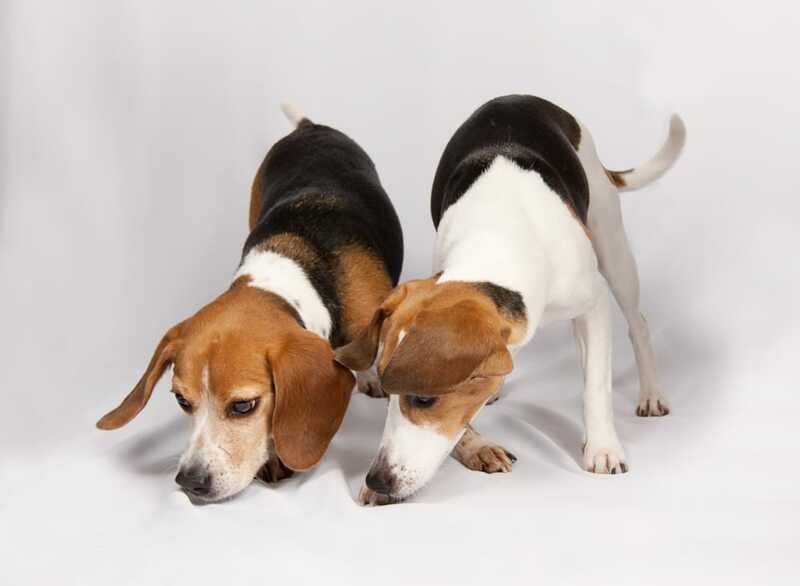 We’ve been helping our clients for many years, “pinpoint” where bed bugs are hiding with our trained detection dogs. When bed bugs are found in one small area, the use of a vacuum and steamer can get rid of them. So, if you suspect bed bugs give us a call. We’ll help you find where they’re hiding out. We’ll bring in our dogs, and pinpoint areas so you can treat yourself or direct you to a reliable bed bug exterminator.